You used to be superman, always there when I needed you. 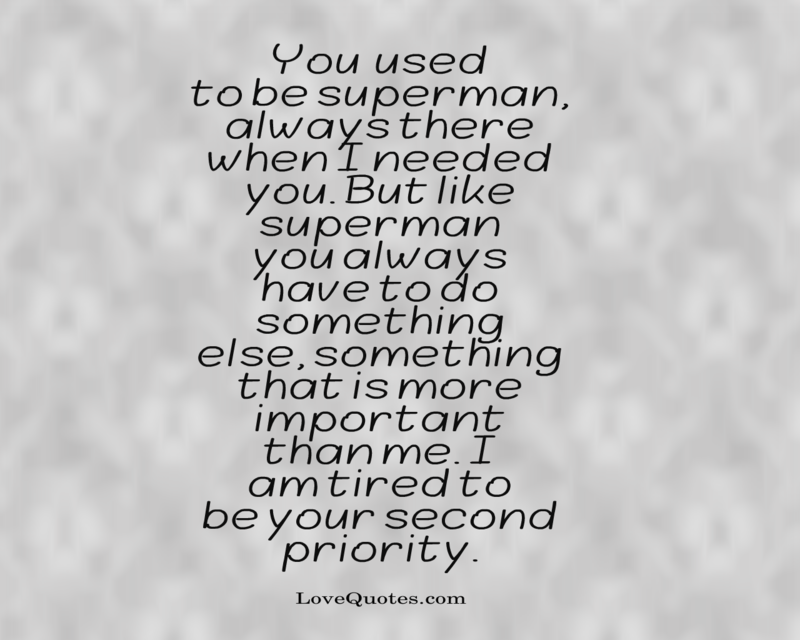 But like superman you always have to do something else, something that is more important than me. I am tired to be your second priority.